The California coast is arguably one of the most dramatic meetings of sea and land in the world. From the rugged cliffs of Big Sur to intimate tide pools filled with colorful starfish and anemones, the variety of subjects is endless and sometimes overwhelming. Author Douglas Steakley has traveled the entire length of the California coast, from the northernmost reaches of the state to the Mexican border, to find the best spots to take the best shots. Lively descriptions of each location are accompanied by directions and detailed maps, photographic instruction on technique, the best time of day, best time of year, and, in some cases, best tidal positioning to take a particular shot. 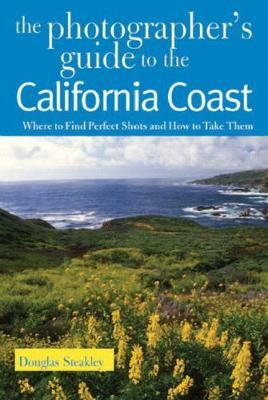 Also included are appendices detailing the author's favorite places to photograph. This is a year-round guide for both amateur and professional photographers, as well as tourists looking to capture perfect vacation shots. Full-color throughout, 5 maps.